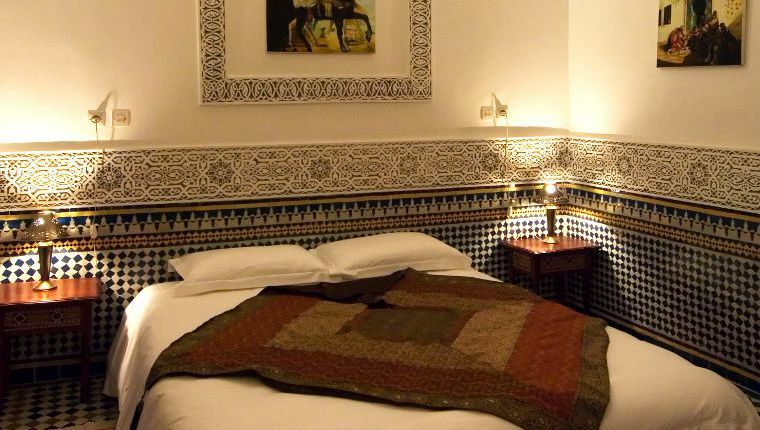 If you’re looking for a room in a guest house our Riad la Clé de Fes in Morocco is at your disposal with several rooms of different ambiences for all tastes. This large room is located upstairs. 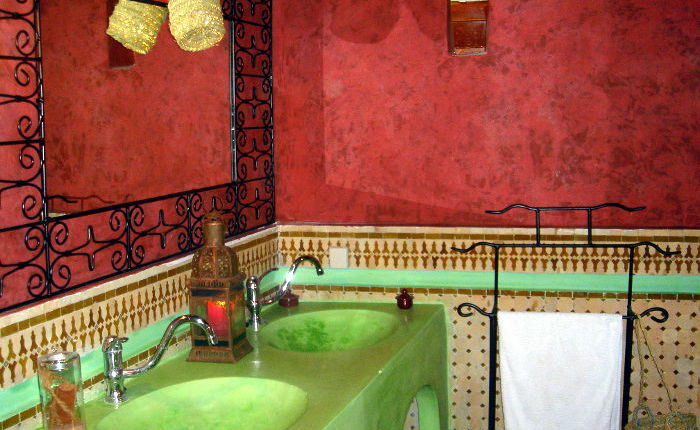 It is made up of a Moroccan living room with a fireplace and a separate bedroom. 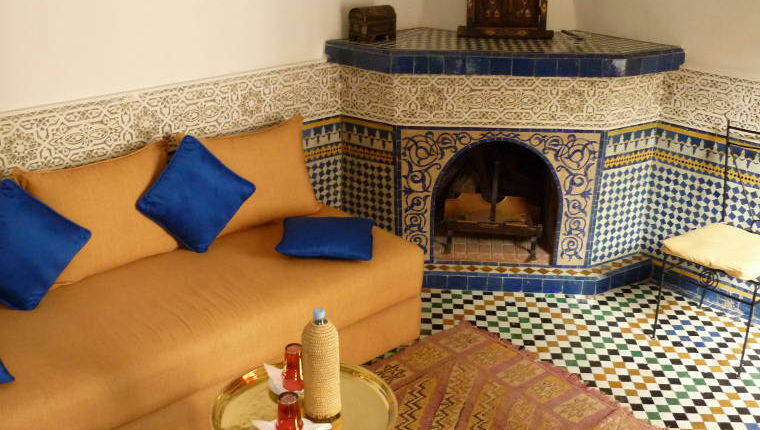 Is the most romantic room of the riad, because you can see from your bed the fire burning in the fireplace! The colors are clear and resting. 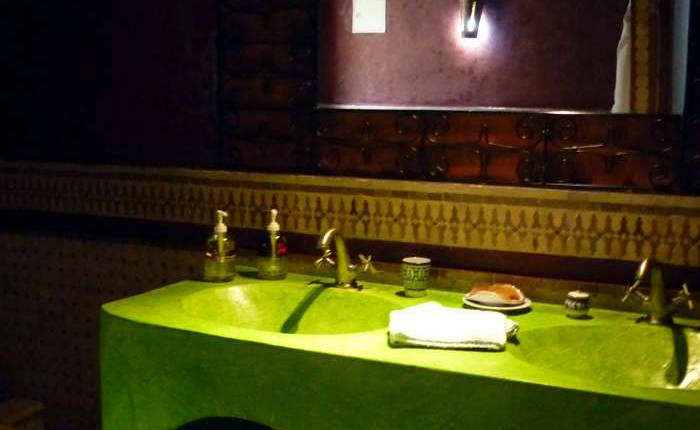 The bathroom is entirely made in tadelak and zellige in iridescent colors that will certainly seduce you. The large traditional shower will surprise you. 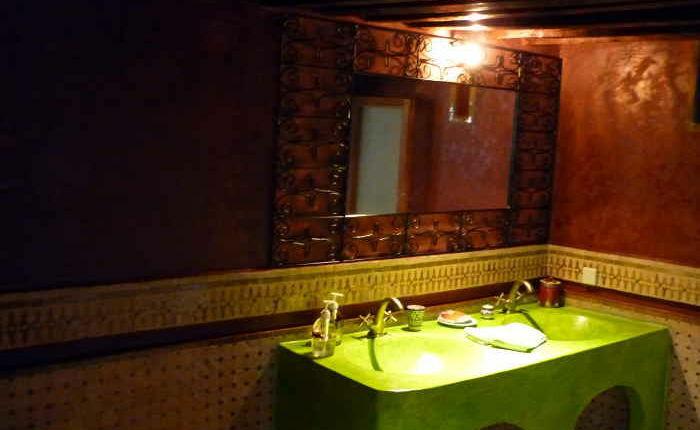 The room is equipped with reversible air-conditioning.